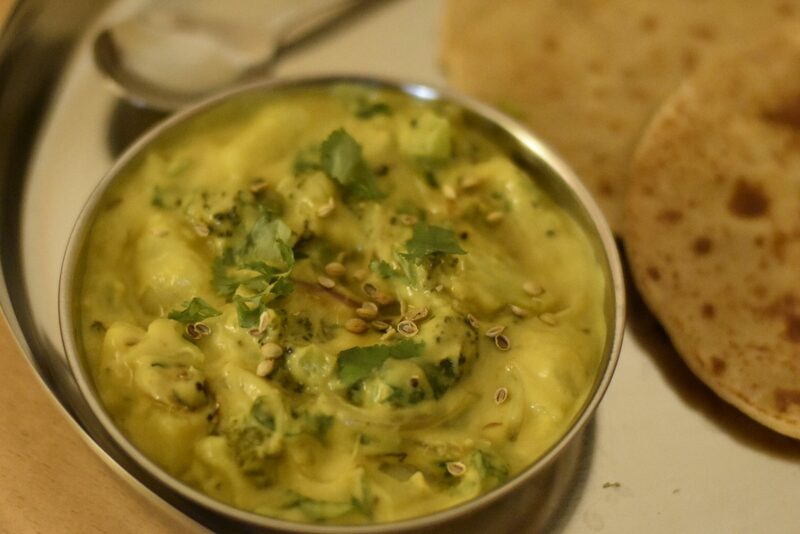 Curries are the everyday part of the Indians, and now a days broccoli is getting more popular that most of the people know about it. 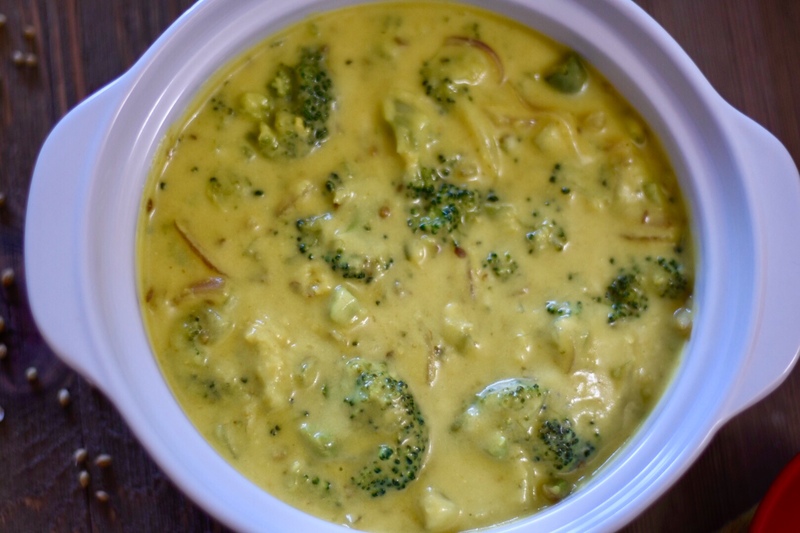 So here is my one more successful experiment with broccoli is Broccoli Kadhi. 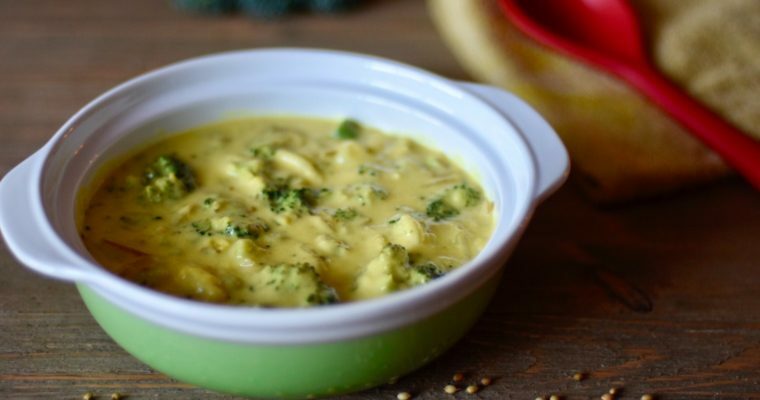 Kadhi is very popular side dish of India which is basically a cooked mixture of yogurt and chickpea flour/besan and seasoned with spices and herbs. All the different part of India people makes it with their unique twist. 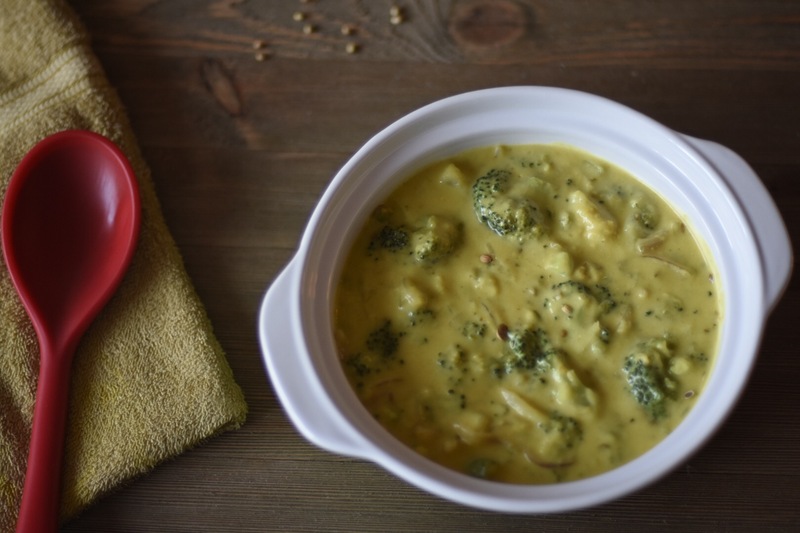 I have adapted broccoli kadhi recipe from north indian style kadhi pakora recipe in which they use chickpea dumplings in the yogurt sauce. I have converted those fried dumplings into blanched broccoli florets and potatoes. 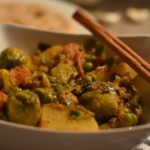 Some spices in the recipe like turmeric, ginger garlic and roasted coriander seeds gives great flavor to this curry. 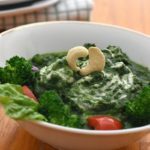 If you have checked my broccoli paratha and broccoli upma recipe then you might be thinking that I am a broccoli lover, and you are right, because of the benefits of broccoli I always try to incorporate it in the different form of our daily diet. 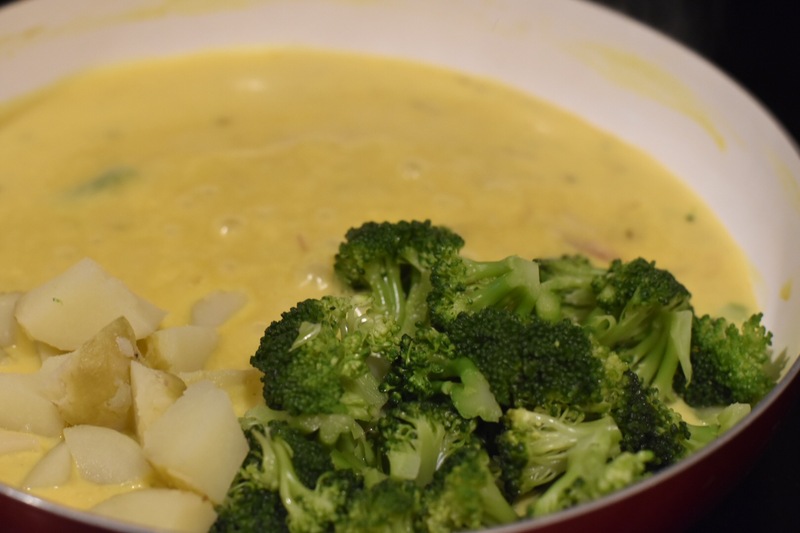 If you have some ingredients ready like blanched broccoli and potato it won’t take much time to cook. 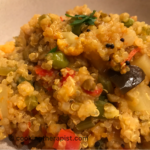 You can serve it hot or warm along with Bhakri (like a thick bit crispy whole wheat tortilla), chapati, paratha, brown rice, khichdi ( mixture of dal and rice cooked together) or along with cooked quinoa. Do try it and you will make it again and again!! 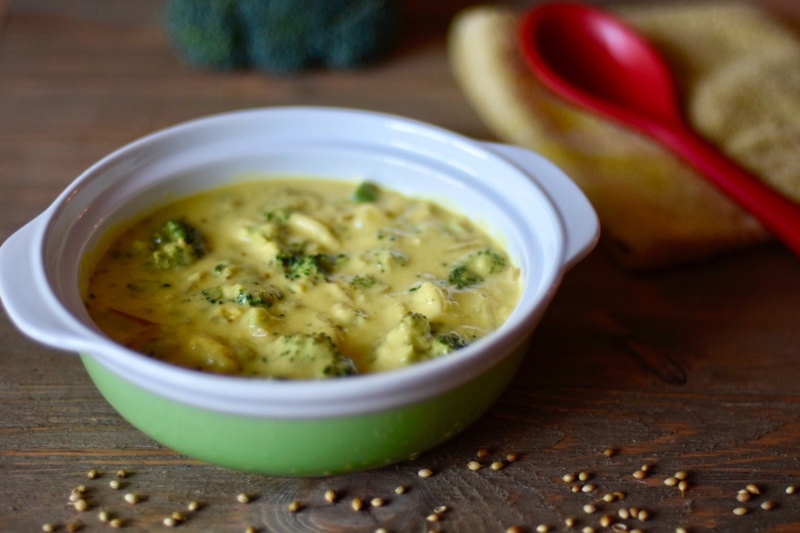 Broccoli kadhi is a Indian style broccoli and potato curry in yogurt and chickpea flour sauce which is flavored with Indian spices which you can serve it with chapati rice or quinoa. 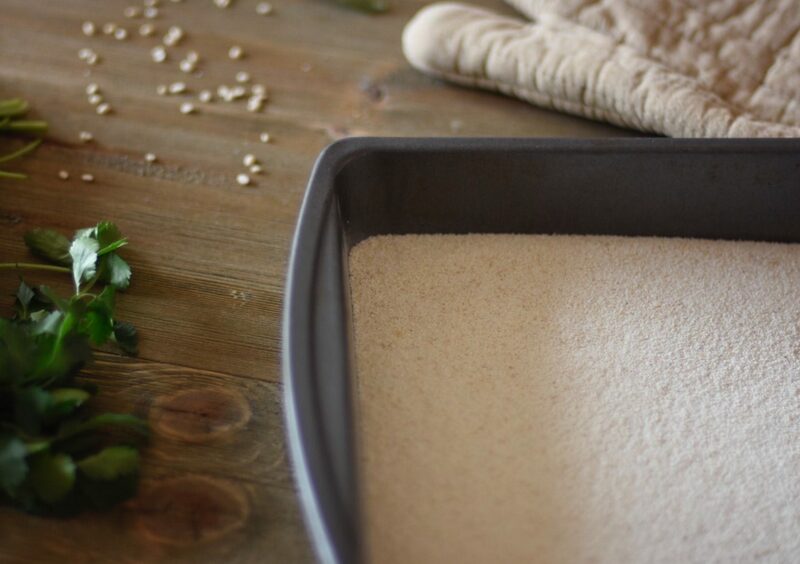 In a bowl take yogurt and chickpea flour. Whisk it well so that there is no lump in the mixture. Add required water in the mixture and mix well. Take medium size pan. Add oil and keep it on medium flame. Add cumin seed , crushed coriander seed and onions. Saute it for few minutes till translucent. Add Ginger garlic green chili paste. Saute it for a minute. Add turmeric and yogurt - chickpea flour mixture And let it simmer on a medium to low flame with continuous stirring in between. Once it thickens and add broccoli and potato. Cook it for more 3- 4 mins on medium flame. Check for the doneness by tasting. Adjust water according to desired consistency and taste. Switch off the flame and add cilantro. 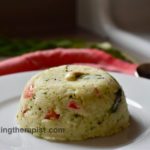 Serve it hot or warm along with rice, roti or quinoa. 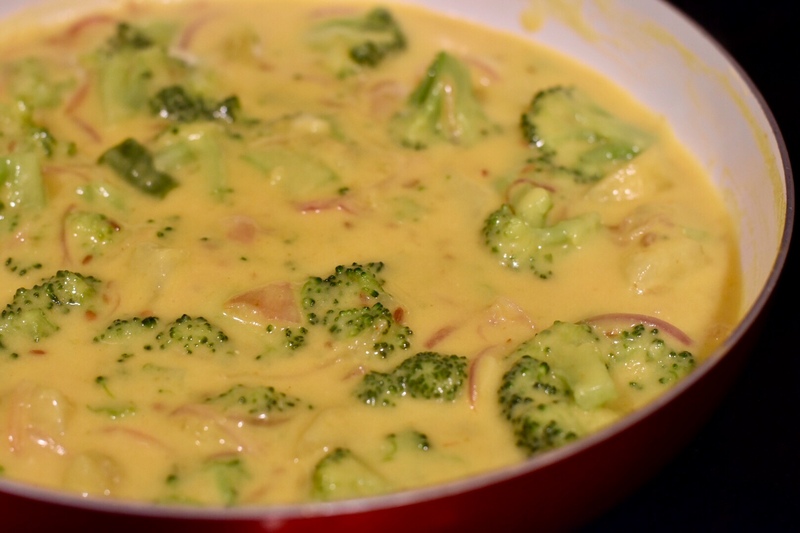 Don't overcook broccoli while blanching. 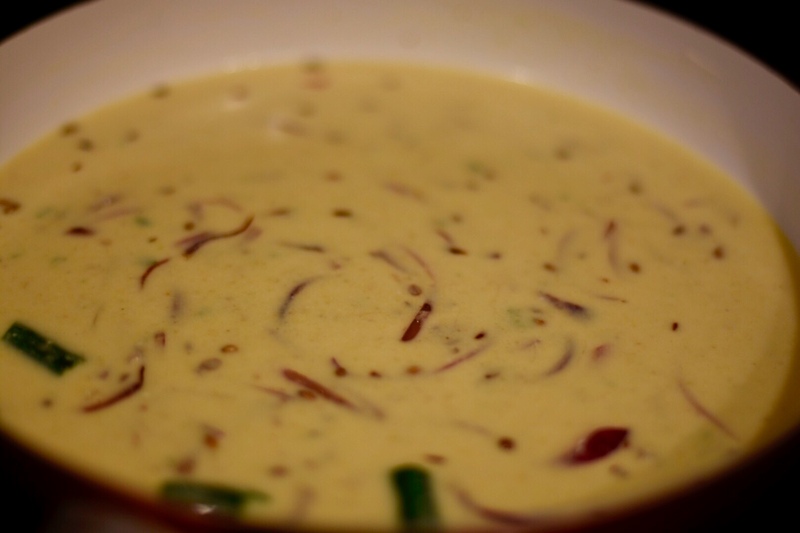 Adjust the water consistency of kadhi according to desired thickness. Happy cooking and Change the way you cook.